Photo to Cartoon converts photographs into cartoons with a few clicks. No drawing required! 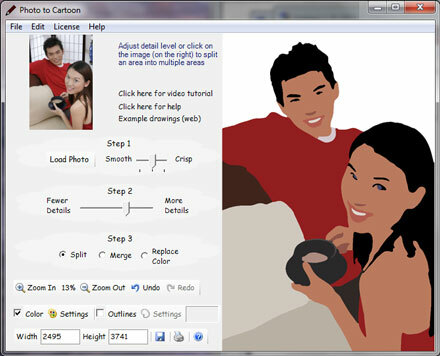 Use the result cartoons as avatars, to sign emails and letters, make greeting cards and party announcements, or create a unique art gift. A cartoon makes an original and amusing present that even that person who has everything would be happy to get.